"I was concerned at first that too much time was going to be spent on the father and we weren't going to see much of Hugette but that didn't end up being the case." I've been wondering that as well. I have heard that Empty Mansions has more photos so I think I'd take a look at it just for that if nothing else but I'm not sure if you'd get much benefit. It was definitely a fascinating book! 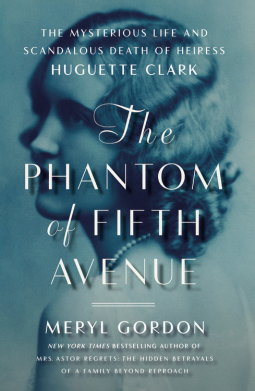 I am unfamiliar with Huguette Clark and her story, but it sounds like she's someone worth getting to know. I like that the author was fair in her descriptions of the characters--that says a lot in terms of her trying to maintain some objectivity. I will have to look for this one! Thanks for the great review, Katherine. I had no idea who she was either which is strange because apparently there was a lot of press surrounding her death. It's definitely worth reading. I really enjoyed this one!